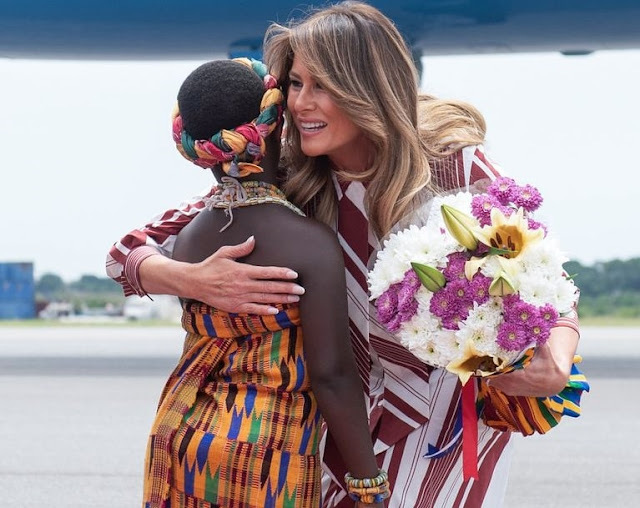 US first lady Melania Trump landed in Accra, Ghana on Tuesday in commencement of her solo African tour. 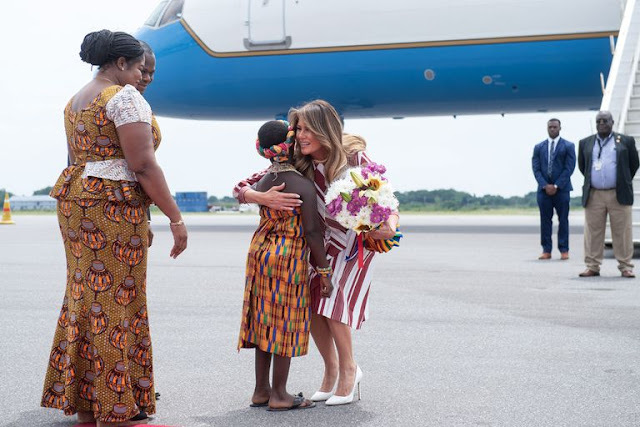 Media houses have described Melania's visit to Africa "a major milestone during her time as the first lady." As part of her five-day itinerary, the first lady will also visit Malawi, Kenya, and Egypt to "symbolize American values and engagement", according to the Washington Post, and to take her "Be Best" cyberbullying and healthy living platform international. During the trip, Melania will highlight U.S. Agency for International Development programs, which face budget cuts from the Trump administration. She'll also tour an elephant and rhino conservatory in Kenya, while focusing on disease prevention and wildlife conservation. To wrap up her trip, she'll go to Egypt where she'll visit the Great Pyramids and discuss how women and religious minorities "can lead productive and healthy lives." In a statement, Trump's communications director Stephanie Grisham said, "She is interested in Africa because she has never been before and knows that each country will have its own unique history and culture."